Yesterday I wrote about what I see as some of the simpler ways to go green. They still take commitment but don’t really take a lot of extra effort. 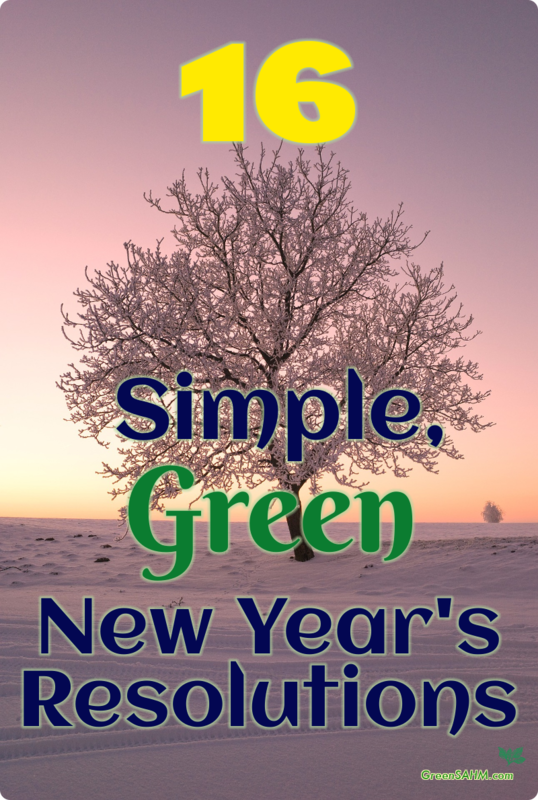 Today I’m covering some still fairly simple things that do take a bit more effort to go green in the new year. This is a tough one for many families. Schools aren’t always within walking distance. It’s hard to run errands or get to kids’ activities without driving if things aren’t really close to your home. I work at home, so at least I don’t have to drive for work, but many of the other things I do require the use of a car. Look at what you do. Can riding a bike, walking or taking public transportation replace the use of your car at times? Most transit services have websites that will help you figure out your local bus routes and schedules. Telecommuting is awesome if you can manage it. This one is not possible for a lot of people, but if you can do telecommute, consider yourself lucky and take advantage! You waste less time on the road and save the money you would have spent on gas. I’ve gone the one car route when it has been possible too. Being a one car family was difficult at times, but the savings was huge. It doesn’t work where we live now though. If you have a backyard, composting can be pretty easy to do. Find a spot in your yard that you don’t mind setting things up, and start composting. Appropriate food scraps, lawn clippings, leaves and even cardboard can do well in backyard compost piles. Composting can be a bit tougher if you live in an apartment, but there are indoor composting systems that are reported to control the odors. 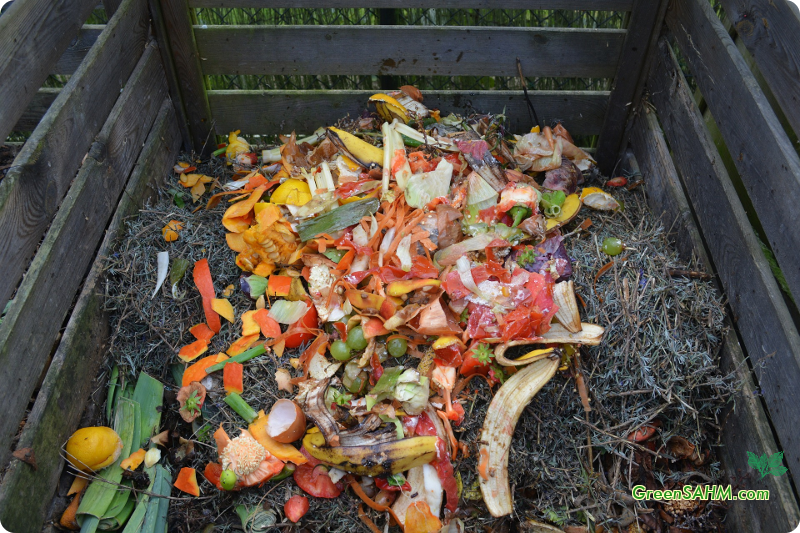 Composting means that food scraps don’t rot in the landfill. They make great natural fertilizer, even if all you ever do is plant an indoor herb garden. Anything from a little herb garden on a kitchen counter to a serious backyard garden can be a wonderful idea. It means you can get fresh produce that you know has been grown the way you like it. A good garden can produce great snacks for kids too. 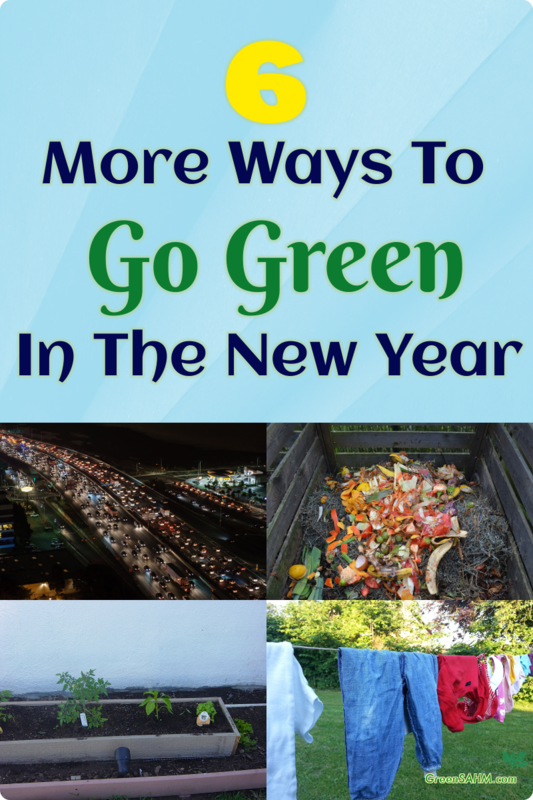 It can be one of the fun ways to go green in the new year. Take the time to learn about natural pest control. For example, ladybugs are pretty easily available at many garden centers at certain times of year and are quite good at controlling certain pests. And of course, the aforementioned compost means you don’t have to spend money on other fertilizers. Alternatively or along with this, join a food co-op. Community Supported Agriculture (CSA) is very popular right now. It’s a wonderful way to get local produce more easily. Local Harvest has some good resources to help you find a CSA in your area. 4. Decrease your energy consumption. Changing light bulbs to LEDs or CFLs works, although some have concerns about the mercury in the CFL bulbs. But there’s more you can do. Consider plugging your television, stereo and such into a power strip, so that you can shut them down completely when you turn them off. These can use a significant amount of “ghost power”. But you will want to consider, if you have TiVo or a similar service, finding a way to allow that to have a different power strip so you can leave it on if it is going to be recording while you aren’t watching television. Also be sure to unplug chargers when not in use. Cell phone chargers are often left plugged in, and they don’t stop using power just because you take your cell phone with you. Similarly, unplug electric toothbrushes and the like. My electric toothbrush is plugged in about one day a week and holds a good charge that long easily. Putting in a clothesline takes some effort, as does hanging the laundry out on it when the weather is warm enough to dry your clothes quickly. Clothes dryers use a significant amount of energy. But even beyond that, there are few things like clothes dried outdoors. Some people give their towels a quick turn through the dryer at the end so that they don’t feel stiff. Clotheslines can be problematic with some homeowners associations. I kept things below the fence line when I used one while living in a homeowners association area. Many states protect the right to use clotheslines regardless of what the HOA may say, so check the rules in your area if this is a concern. I like using a clothesline during the summer. 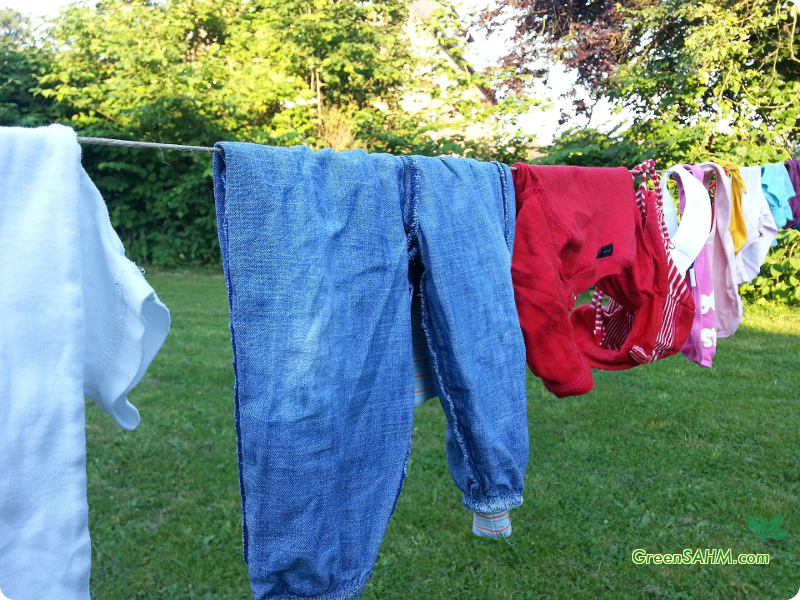 Clothes often dry faster in the sunshine than they do in a dryer. The animal shelter we volunteer at uses a clothesline year round for their laundry. They only use their dryer if they have more than a day of rain keeping the laundry from drying. They save a lot of money that way. Clothes take a long time to dry on cool, cloudy days, but they do get there. Many local power companies offer these for free or at a discount, or you can hire a company to do one for you. An energy audit tests your home, to see where energy is being wasted and how you can solve the problem. Little things like leaks under a door or through a window can cause significant heat loss in winter, for example. Just be sure you take action on the recommendations. What ways are you planning to go green in the new year? Most preschoolers get a ton of toys for birthdays and Christmas. It makes for quite a mess around the house, and a lot of toys that only rarely get played with. Not that the kids won’t consider each utterly precious, to be given up only with great reluctance, but as most parents know, enough is enough when it comes to toys. 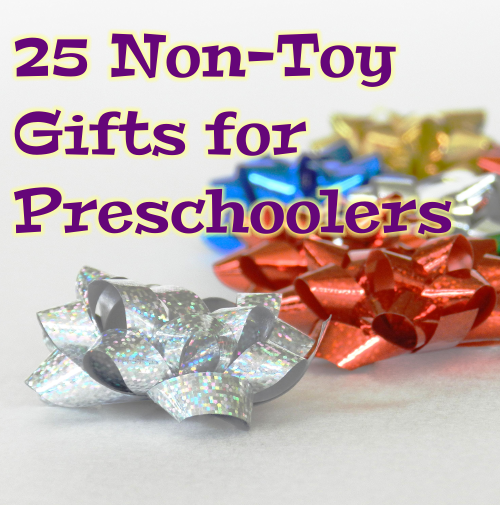 There comes a time when you want to give more non-toy gifts for preschoolers. The best way to encourage people to give your preschoolers more non-toy gifts is to let it be known what else your child would like. Preschoolers love toys, they can always spot another one they want, but there are so many other things they will be just as delighted to get, things that won’t cause so much clutter or waste. Here are some ideas. While it’s possible to have too many art supplies for your preschooler, I find an oversupply of art supplies easier to deal with than an excess of toys. Know what your child’s favorites are – my youngest has a thing for paints, but really doesn’t care that much for crayons or markers. She also loves glue when I can stand the mess. An easel is a nice addition to art supplies. You can take it outside for messy projects, or let your preschooler work indoors when things won’t get messy. It’s one more thing to store, yes, but an easel has a lot of potential too. If it’s magnetic, so much the better, as that’s one more activity they can use the easel for. Kids love to be taken out on special outings. This can be done by a parent, grandparent, aunt, uncle… just about anyone your preschooler has fun going places with. Pick a place they love but don’t often get to go and make the gift a promise to take them. Trampoline parks are popular right now. Some even have special hours for preschoolers while older kids are in school – a real advantage so that the little ones don’t get trampled. That said, a trip to a favorite playground could be a part of a gift too. My husband and I did this for Christmas last year in the form of printed coupons for each of the kids. A day out with mom or dad, total cost to not exceed $X. Within reason, they got to pick the day they went out, and the activity. Know a show coming up that your preschooler would enjoy? Get tickets! It doesn’t matter if it’s a movie, concert or theatrical production, just find something your child will enjoy. Where does your preschooler like to eat? Anything from fast food to a pizza place to the ice cream shop is fair game. It’s easy to find gift cards at most restaurants. Local grocery stores, Target and Walmart also usually carry a good selection, as does Amazon. Time spent with kids doesn’t always have to be an outing. It can just be a promise to do something fun at home soon. It could be playing make believe, doing crafts, learning to ride a bike, whatever works. If you need ideas, check out my post on fun ways to teach kids about nature. My mom loves to give my kids in general annual passes, usually to someplace she can take them to, kind of an extended special outing gift. 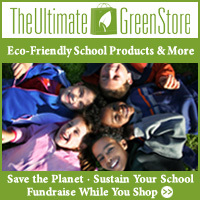 Passes can be to theme parks, museums, zoos, just about anyplace your kids love to go. Be aware that there are additional expenses to annual passes. You need a pass for more than just your preschooler, after all. Parking may be extra if your pass doesn’t include it. Food. Travel to and from. Kids will beg for souvenirs, which brings you right back to that “too many toys! !” thing. That said, the memories are generally worth it. My youngest is obsessed with ballet and gym classes, and I don’t sign her up very often, more due to time than costs. It’s a good gift, however, so long as the person giving it will either take the child to and from class or knows who has the time to do so. Classes through your local community center are usually quite affordable. Many have a good selection appropriate to preschoolers. Want to make a preschooler happy? Bake his or her favorite treat. For my youngest, that’s chocolate chip cookies… or vanilla ice cream. Baking supplies to make cookies or other treats make a good gift too. Put all the dry ingredients together, include some child appropriate tools and a recipe, and maybe a promise to help out with the baking, and you have a really fun gift. It’s good to encourage preschoolers to go outside to play. While most are still improving their balance, they love to learn. A balance bike is good for those who aren’t ready to learn both how to pedal and balance a bicycle. There are children’s skates available that control how fast the wheels roll, or if they roll at all, so kids can learn to move in them safely. Soccer balls, footballs, baseballs and so forth encourage kids to play, whether or not they’re on a team yet or even want to be on one. There are all kinds of sprinklers that make playing outdoors in warm weather more fun for kids. Your traditional yard sprinkler may suffice, but there are also ones with various characters or that spray water in interesting ways. A nice beach towel could be a good addition to this gift. This one may be best as a group present, as even a basic swing set isn’t all that cheap. Pick something that fits in the space you have for one, and think about how many years it will be good for. You don’t want the swing set to be outgrown too quickly, but you also don’t want it too difficult for your child right now. Just one more great way to get kids to play outside. Kids love plants. It’s something they can take care of that doesn’t have all the complications of a pet. Pick something easy to grow for younger kids – most like tomatoes pretty well. Something that can be kept in the child’s room can be nice too, so long as the plant isn’t too messy and there’s a place to keep it where it won’t be knocked over when the kids get rambunctious. My youngest adores marigolds, for example, so that’s what we get for her. Sunflowers are also popular. Any flower that attracts butterflies will also make good gifts for preschoolers. Almost all preschoolers adore butterflies. Kids this age don’t understand money yet, but the time will come when they appreciate what you’ve done for them by starting a savings account. If you go with a plain savings account, watch out for fees, as they can eat up what you put in. A 529 college savings account is an excellent option, especially if it’s something that can be regularly contributed to. If you don’t want the commitment of helping build a savings account, a piggy bank is a great alternative. Your typical preschooler doesn’t really understand money yet, but they love getting it and having a special place to keep it. There are some great clothes out there for preschool girls and boys, and some of them need replacements pretty regularly, with how rough some kids play. Depending on what the child needs, you can go with practical or fun, just make sure it’s something the child will like to have. Most preschoolers love basic puzzles and may enjoy slightly more complex ones. Know what kind they enjoy before buying them – some will still just want the simple puzzles where you put each piece into its slot, while others may enjoy puzzles where they have to figure out which ones go together, so long as the number of pieces isn’t too high. There are board games available that are great for preschoolers, and that will continue to be interesting for years to come. Sorry is good for counting skills, for example. Some board games also have iPad versions, which allow younger kids to learn to play more difficult games than they might manage on a board. My youngest likes to play Life on the iPad, for example. Our version has a board available, but you don’t have to use it. Just be aware of the missing pieces issue. All too often kids misplace game pieces, usually right where the parents will step on them or where a pet will chew them up. Not that I’m speaking from personal experience… ow! With board games and puzzles, just be sure that the family doesn’t already have enough that they’re causing clutter too. While many children’s musical instruments fall awfully close to the toy line, I think they’re worthwhile. Pick something that sounds fairly nice – no point driving the adults insane if you can help it. Children’s guitars are pretty easy to find. Harmonicas can also be fairly cheap. Whether you give the child an iTunes gift card so that they can be helped to download their own choice of music or you give them a CD of music, most kids love music. Disney music is a relatively safe bet with preschoolers, although there are a lot of alternatives. Many preschoolers don’t read yet, but they love to be read to! Pick books that encourage them to learn to read or that have stories they’ll enjoy listening too. Don’t forget the classics such as anything by Dr. Seuss or Eric Carle. Popup books can also be a good choice, although you may have to be careful that the preschooler isn’t too destructive. One Red Dot has been a hit with all of my kids, and it is beautiful! There are some great magazine out there for preschoolers. There’s Highlights High Five , Ladybug , National Geographic Little Kids and Ranger Rick Jr. , just to name a few. Does your child want a subscription to a particular website? My youngest always wanted to join ABC Mouse, and of course there are other websites out there for kids, some are free, but others require a subscription. If the preschooler is starting to learn math, I strongly recommend The Prodigy Game. Your child can try it out for free, but some of the things the kids will want most require a subscription. The math parts and much of the game work well even if you don’t have a paid subscription. It’s aimed at grades 1-8, but the very early stuff could work for a younger child. Bath supplies don’t have to be bath toys. Kids love bubble baths. My youngest has a major thing for Epsom salts in her bath, as well as scents from essential oils. 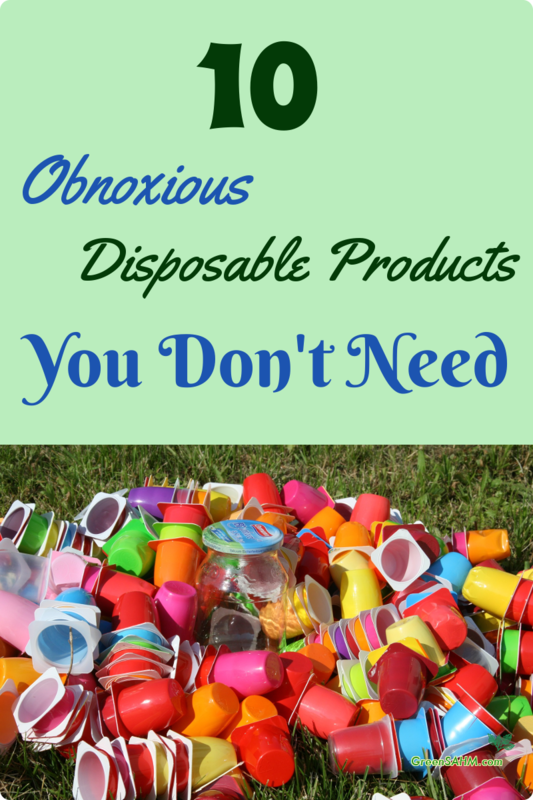 Pick things that are safe for young children and won’t make a big mess for the parents to deal with. One of my youngest’s favorite gifts ever was a chair just for her. It came from IKEA, and while it’s small enough for a preschooler, even my older two find it comfortable. She had seen a chair her size when we were shopping for furniture for the house and obsessed about it for months until she got the one from IKEA. She also has a little table and folding chairs her size. The folding table and chairs are nice if you will put them away regularly, while the wooden sets are good if they’re just going to remain set up. If you want to go a bit nicer, they even make kid size recliners. Does your preschooler lack a great place to keep all those excessive toys? A toy box can be a very welcome addition. Make sure it’s a good quality and that the top is unlikely to squish little fingers or heads. Safety hinges, a lightweight lid, or other safety features are a must. A toy box will also help take care of all those other gifts your preschooler receives. While considering non-toy gifts for preschoolers, remember to also consider handmade gifts you can make together to give to other people. It’s a great way to teach your kids that some of the most appreciated gifts are made, not bought. Sleep is important for everyone, but as any parent knows, if your kids don’t sleep, you don’t sleep. They will get you up. 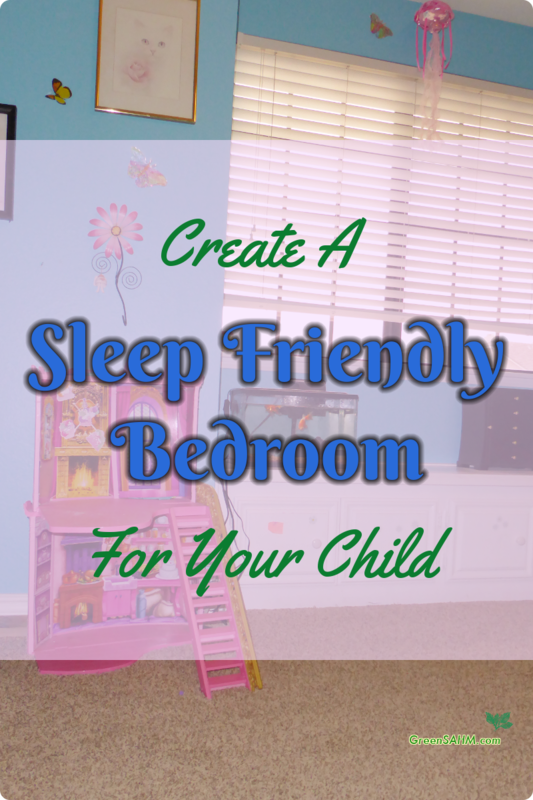 While you can’t keep away all the sleepless nights by creating a sleep friendly bedroom for your child, you can make it as easy as possible for sleep to come. If your child’s bedroom isn’t dark, they probably won’t sleep as well as they should. Blackout curtains will help if light comes in their window from other sources. This is especially important during the summer when the sun sets late and rises early. Some kids need a night light for a time, but try to minimize that. If a night light is required, try to use something with an orange or red hue – blue lights are disruptive to sleep. When my nephew came to visit and needed a night light, we would turn on my salt lamp, as it has a lovely orange glow that reassured him, but all my other kids found less disruptive to their sleep. Keep the electronic gadgets out of the bedroom as much as possible. They often emit quite a bit of blue light, unless they have settings that change in the evening. Electronics use is also just not a good way to wind down for the evening, no matter how many kids (and parents!) enjoy using them. Encourage everyone to read a book before bed instead. A cluttered bedroom is hard to sleep in. It can be difficult to get some kids to keep their toys picked up and to not have an excessive number of stuffed animals in bed with them. It is a help, however, if you can build their habits so that they pick things up before bed, and only have a special lovey in bed with them. While the color of the walls can’t be seen in a dark room, a soothing color will help make a more sleep friendly bedroom for your child. Light colors are best, especially blues and greens, which most people find more relaxing. My youngest daughter’s room, for example, is light blue, and each wall is (at her request) themed to a particular season. Snowflakes on one wall, flowers and butterflies for spring and summer, and autumn leaves for fall. A room that hasn’t had an open window for a time doesn’t smell as nice as one that gets aired out regularly. When the weather permits, open the windows and let that fresh air in. Much as a warm room feels nice during the day, people get better sleep in cooler temperatures. 60-67 degrees Fahrenheit is ideal. Blankets and pajamas can be used to keep your child cozy. Soothing music, quietly played, can help kids sleep. White noise is another option. Keep the volume high enough to be heard, but low enough to not disturb your child’s sleep. This is especially helpful if there’s a lot of background noise in your house or neighborhood when your kids are trying to sleep. A little nature goes a long ways in making a sleep friendly bedroom for a child. A plant or two is a great choice. Keep them out of reach of younger kids, but as they get older, it’s something they can help take care of. A fish tank is another good option. My youngest has a fish tank, currently occupied by goldfish purchased to handle a snail problem in our big tank. She fell in love with them, and I wanted different fish in the big tank once the snails were gone, so now they’re hers. Goldfish can live quite a while if well cared for, but are cheaper than most other fish if you get them small. You could combine plants and fish with an aquaponic tank. It grows plants at the top, with fish below. The small ones are about three gallons, and only suitable for fish such as bettas. Make sure the fish tank light is turned off when the kids need to sleep. Kids may not complain much about an uncomfortable mattress, but a poor quality mattress can make it harder for them to sleep. Combine the mattress with comfortable bedding to help your kids sleep well. It’s such a help when your kids sleep well. It means you can sleep better too.